The more informed you are about your building’s environmental impact, the more empowered you are to improve it. Our auditing team will perform a comprehensive review of electric, gas, steam, and oil invoices to identify consumption and billing anomalies. Many FirstService Residential managed buildings have successfully implemented these strategies to save energy, reduce costs, and improve efficiency. Optimizing the operations and maintenance (O&M) of your building’s energy systems to ensure they are performing as originally designed and constructed can significantly improve efficiency. New York City Local Law 87 requires buildings over 50,000 square feet to file an Energy Efficiency Report (EER) with the Department of Buildings. Demand response programs are designed to enable customers.. When aggregated groups purchase large blocks of energy.. 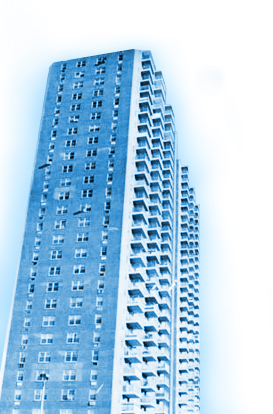 Challenge: FS Energy was engaged by Bay Ridge Air Rights, a co-op in Brooklyn with over 800 units in two 28-story buildings, to devise an affordable, environmentally conscientious strategy to reduce energy costs and consumption. Solution: After conducting an extensive energy analysis of the property and consulting with vendors, a 75kW cogeneration unit was installed in each of the two buildings to work in coordination with their boiler systems. These plants are highly efficient because they economically meet the building’s electricity demands and utilize the heat produced during generation to provide domestic hot water. Savings: Although Bay Ridge could have recovered its initial investment in less than four years, cash flow constraints and its government-regulated affordable housing status (Mitchell-Lama) limited the funds available to purchase the plant outright. In response, we convinced the manufacturer to assume all installation costs (a savings of approximately $514,000) and ongoing operational expenses and then sell the electricity to the property at a 15% discount from current market rates. We creatively enhanced this discount by negotiating with the New York State Energy Research and Development Authority (NYSERDA) to contribute funds to the vendor.